(78 reviews) Write a review! The R1 driver is a very forgiving club due to the fact that it has a wide range of adjustments that can be made to alter ball flight bias. What is the Head Size(CC) of the R1? The R1 is a 460cc head. Will a stage 2 shaft fit the R1? It will fit but note it will not show the same specific lofts at each setting. Only higher or lower. The head itself is made at 10.5 degrees loft but the club can be set to 7 settings ranging from 8-12 degrees. This is a 2013 club. I need a new stiff flex shaft for my r1, is the standard one a loft sleeve??? The loft sleeve is the correct tip for fit. Note the R1 loft sleeve listed actual lofts while the other loft sleeves listed higher and lower loft. It will still work and give you the same settings but will be listed different on the shaft tip. What year make is this club? 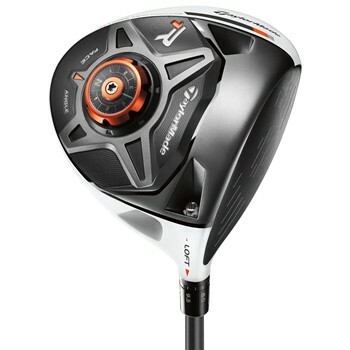 The R1 driver was released in 2013. The R1 is the only ONE you need. This club looks great at address. The paint scheme really helps with alignment. The adjustability on this club is through the roof. I am happy with my purchase. Thank you TaylorMade for making hitting fairways off the tee a reality again for my game. This is such a great club. The adjustability feature is truely a advantage when trying to find your correct flight pattern on the range. The colors on the crown do help with lining up your club. Not having to worry with buying a loft anymore is very helpful. I would suggest spending a little more and buy the R1! I have fought the slice for years and inconsistent drives. The tunability of the R1 has allowed me to swing freely and confidently and has increased my fairway percentages by more than 30%. While I would rather learn to hit the ball straight without the help, my goal is to eliminate the 1 degree closed that the club is currently set at. Just bought the r1 recently and it is great! I am hitting my drives far and accurate! I would recommend this club to anyone who wants the most out of a driver! I was previously using the Callaway FT9 which I inconsistently hit straight. But it is a whole different story with my r1, I am hitting fairways with ease because of all the adjustability! The cost of the club is well worth it because of all results you will be getting out of It! I would rate this driver a 10 of 10! THANK YOU GLOBAL GOLF!! Driver was in way better shape than I expected when it arrived. Bought the R1 for my high school age son, we went to the range and after minor adjustments he was driving balls straight past the 300 yard mark! The sound it makes gets everyones attention on the driving range. Adjustments make for nice controlled shots. Great service, will shop with you again! According to TaylorMade's researchers, 80% of golfers are playing the wrong loft and 24% are playing a loft that's off by 2 degrees or more. By recognizing this problem, TaylorMade has developed a driver that gives golfers from Tour pros to amateurs more options to help them achieve optimal performance. 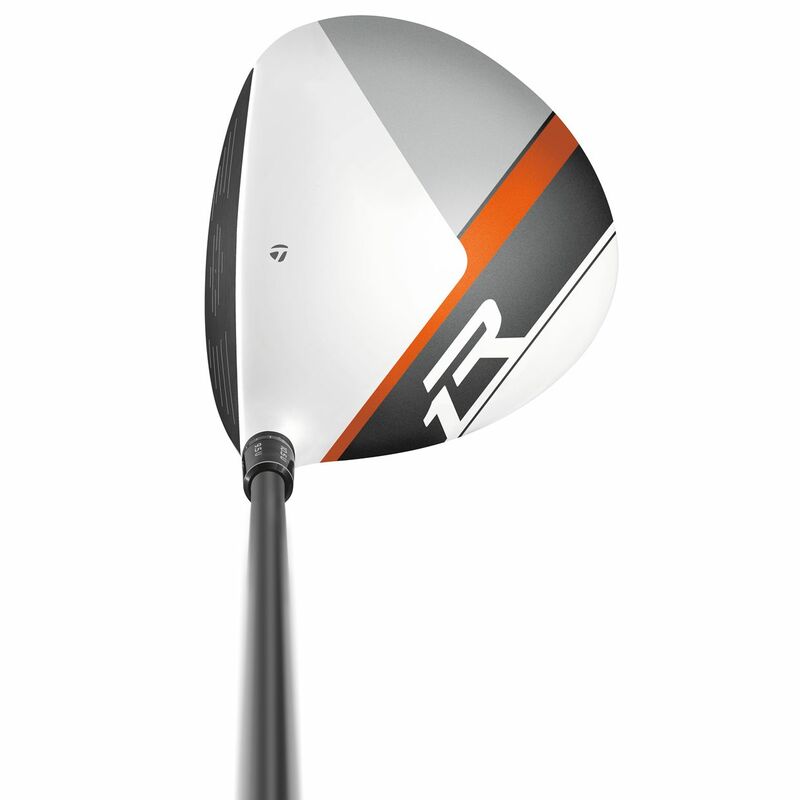 This new club is the TaylorMade R1 driver. 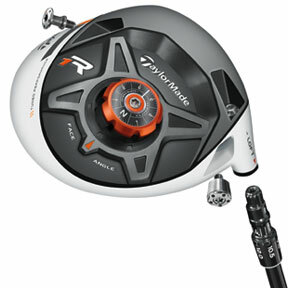 The R1 features a face tuning system with an ingenious look that resembles a compass. 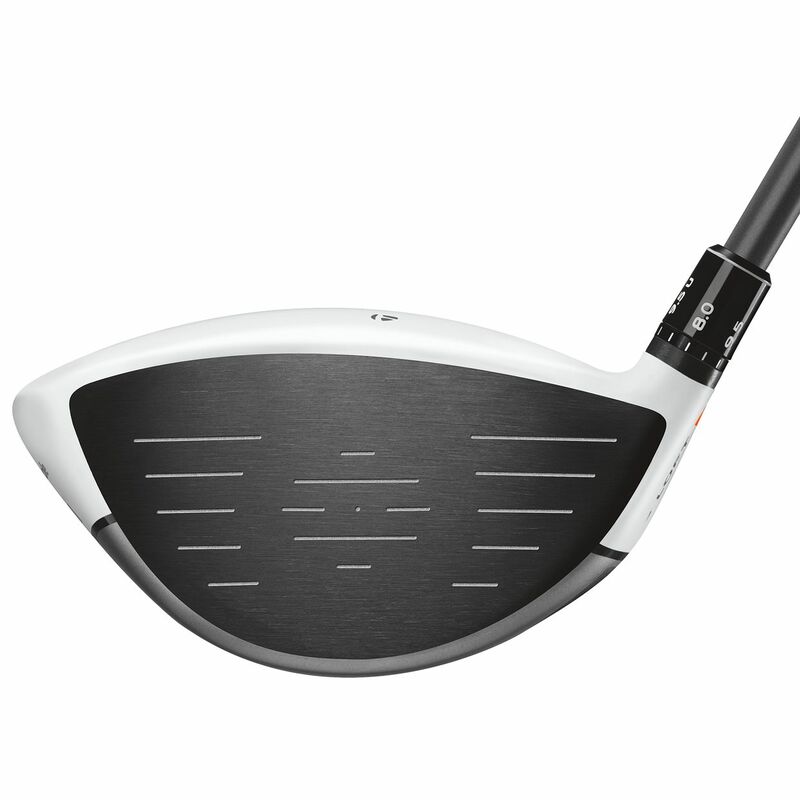 Instead of the usual Open, Neutral and Closed face angle options that other drivers offer, the R1 comes with 7: Neutral, Open, Medium-Open, Maximum-Open, Closed, Medium Closed and Maximum Closed. For the most precise loft angle, the driver has 7 standard and 5 upright loft options that range from 8 to 12 degrees (+/- 2 degrees). The R1 also uses shot-shaping moveable weights to promote a fade or neutral ball flight or to create a draw. 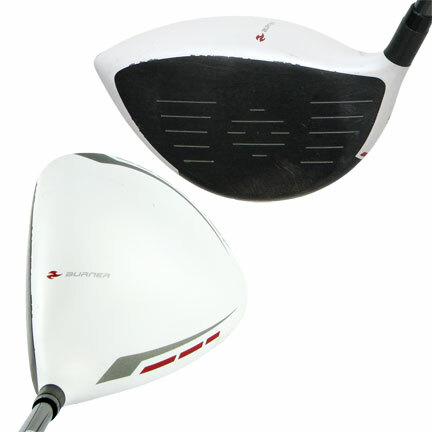 The R1 driver has enhanced versions of familiar TaylorMade features as well. The tried-and-true Inverted Cone Technology has been milled into the inner side of the driver to expand the area that maximizes ball speed. Like the RocketBallz driver, the R1 uses a Thick-Thin crown design to position the Center of Gravity (CG) lower and more forward. This results in not only accelerated ball speed, but also higher launch and lower spin. The R1 driver has a unique, high-tech look that makes it stand out from other drivers on the market. The most prominent feature is the dial, with its orange outline and previously mentioned compass-like appearance. Other interesting visual features include the orange and black stripes on the crown and new R1 logo. 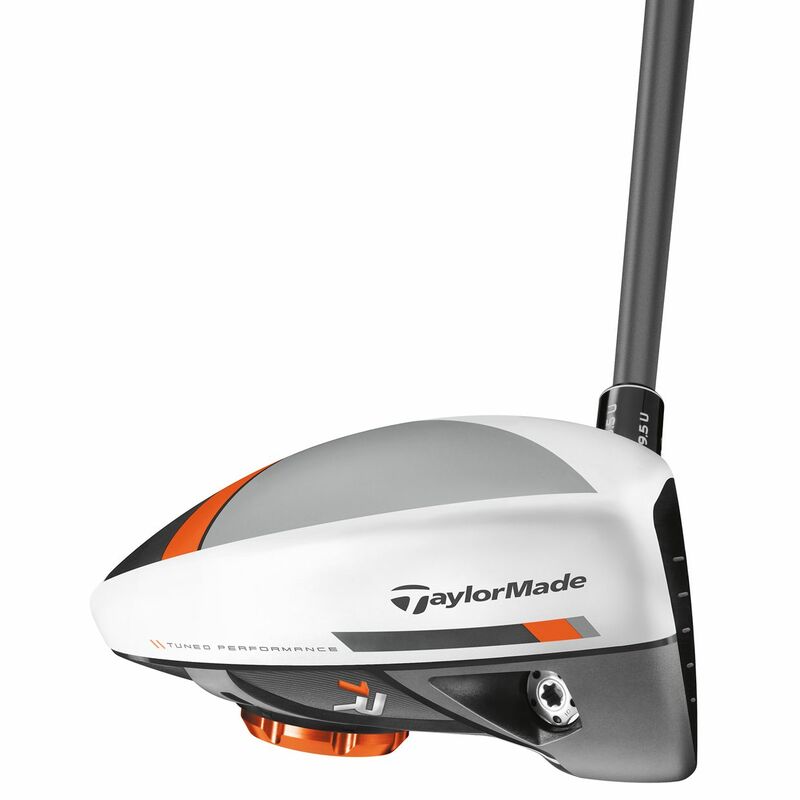 The orange detailing is offset by the black club face and non-glare white crown, which also serve as an alignment aid. It wouldn't be a TaylorMade club without substance behind the style. 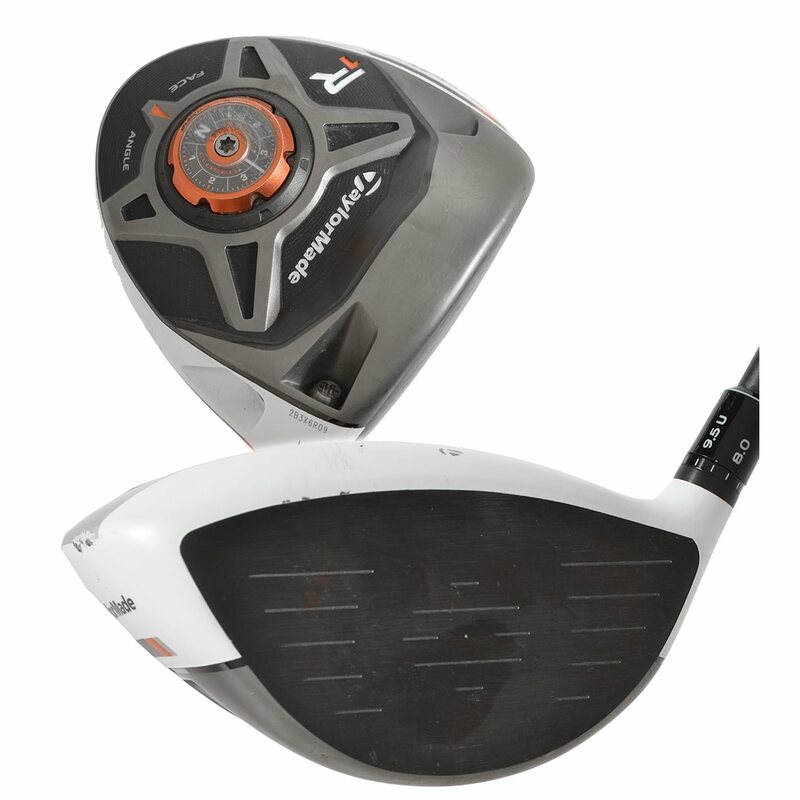 The TaylorMade R1 driver comes with an Aldila RIP Phenom shaft.With its incredible amount of adjustment options, the R1 ensures that golfers no longer have to play anything other than the ideal loft. This is truly the one driver that can fit all.